As much as legislation has helped claimants sell their structured settlement, some stiff restrictions still remain. For instance, you cannot use your settlement as collateral for a loan. Your settlement benefits are given to you on an income tax-free basis by the authority of Federal law. If you need a loan, your next move would be to consider selling all or some of your benefits. Associations like the National Structured Settlement Trade Association (NSSTA) frown upon the resale of structured settlements; they even discourage it openly on their website. NSSTA is a highly respected and influential organization, not just because of their mission, but because they are the only National organization in this industry. They have partnered with the Consumer Federation of America, the American Association of People with Disabilities, the National Organization on Disability and other advocates for the disabled to voice their joint concern over claimants selling their settlement benefits for “cash now”, making it impossible to support their disability in the future. I can see their point, and good for them. However, not all people with a disability will need the payments according to the courts schedule. Not all disabilities are total disabilities and not all disabilities are going to need future medical attention, or equipment. 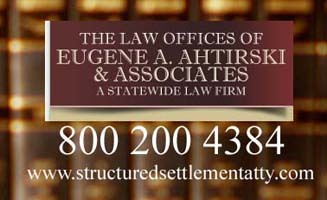 This is not to belittle the concern that the NSSTA has, this is to allow those with circumstances where they would actually benefit from selling all or some of their structured settlement benefits — even at a cost — would be able to do so, with the guidance of an experienced attorney in these matters. These are the people with Structured Settlements who are looking to sell their Payment Stream. Around ten years ago, Congress instructed the IRS to not only provide benefits or tax relief to those wishing to sell their structured settlement rights, but to also provide incentives. In 2002, these laws were put into place providing even more standards for this industry; for both the person trying to sell and the companies trying to buy. For the first time, sellers of their structured settlements and their attorneys now have definitions, procedures, guidelines and some protection under the Internal Revenue Code to help them transfer structured settlement payment rights. People who have sold structured settlement payment rights now have some tax clarification and assurance. For the first time, people who are currently interested in trying to sell structured settlement payment rights get to receive guidance on how, and under what circumstances, they can sell those payment rights. Now, the seller wishing to sell some or all of their structured settlement payment rights can take the time to consider whether and how to best facilitate future transfers of structured settlement payment rights; take the time to reevaluate existing structured settlement products in order to obtain sound financial and insurance plans; take the time to review and understand ALL documents used in the sale of structured settlement payment rights. It never used to be this way. Selling some or all of your payments is perfectly legal and structured settlement annuity owners and issuers as well as state judges, can expect increased applications for approvals of factoring transactions under stated protection statutes.